He was a wise man, the one who danced like a butterfly and stung like a bee. This quote is more pertinent than ever now in the aftermath of the Orlando tragedy which has left such deep wounds. And a questioning about safety, freedoms, rights of individuals and society. And friendships. The dictionary definition of friendship speaks of mutual esteem and goodwill. Friendship is so much more than that. Affection, loyalty, respect, trust, love, emotional safety, sharing, caring, being there for one another through thick and thin, companionship, honour, cherishing another for who they are regardless of what that may be. Being in a relationship with a friend is about being in a state of connectedness. It implies some kind of link whether it be family, social connections, common values, beliefs, hobbies, work, interests, intimacy, gender, culture. It celebrates commonalities, diversity, strengths, the uniqueness that each person brings with them into that relationship to deepen and strengthen it. 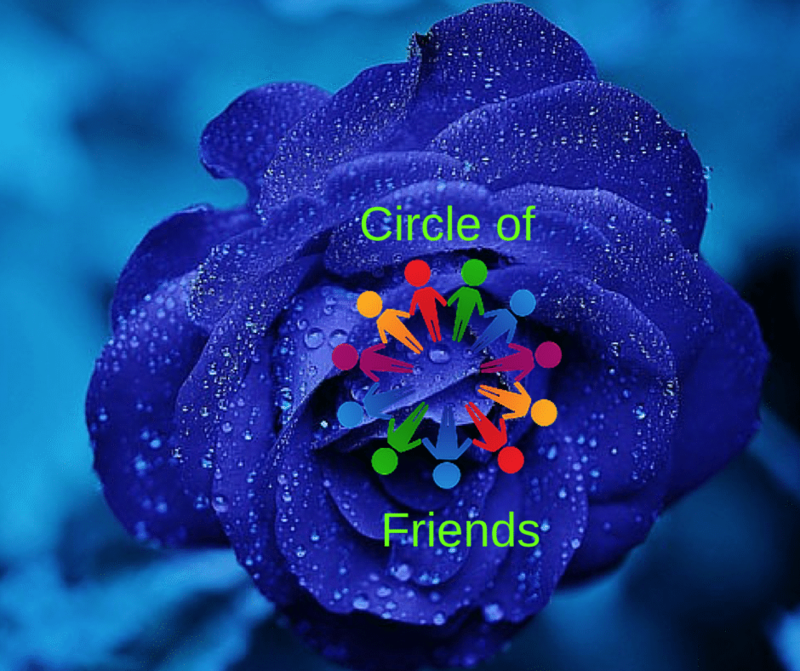 This month in Circle of Friends I invite you to consider The Big Picture of friendship – the creation of a circle of friends that spans the world and transcends human foibles and pettiness. I know, I know – that seems a big order! Especially in the current climate of prejudice and fear. However, as the saying goes, nothing changes if you don’t change what you do. SO let’s create some change! Draw from this exercise that which resonates with you. Carve your slice. Garnish it with your words, images, wisdom. Consider creating a friendship that truly takes into account The Big Picture within your Little Picture. To get your creative juices flowing, I offer you a few different prompts and perspectives to consider. Watch the videos that resonate. As you do, keep in mind the theme and the prompt. Or just do your own thing. After all, it’s your creation. Put yourself in Mark’s shoes to create a friendship with the animal kingdom. Where does your curiosity take you to make hidden miracles visible ? New to THE CIRCLE of FRIENDS here at Soul Gifts – Telling Tales? Here’s how it works. Mid month I will publish a CIRCLE of FRIENDS topic. You are invited to interpret it in any way you like – a story, a poem, a photograph, a quote, a recipe… there is no limit to how friendships are made, nurtured and rekindled. Post to your own blog with a link to the Circle of Friends. At the end of the month I will magically pull it all together into a Nutshell Summary so everyone can enjoy what has been shared. You don’t have to be a blogger to take participate. Add your thoughts to comments or send an email. Know what you mean about the bear! There was another one of a man with a crocodile 😦 I guess they need love too. I thought of you as soon as the dragonfly came up, so that video just HAD to go in! Lol !!! Please don’t feel the need to apologise. When I wrote this, I knew it was a big ask, ‘cos it’s a big theme. Ok, I’ll do my best. The theme invites us to use our imagination to create a world in which friendships and relationships are unconditionally loving. Your job, should you choose to accept it 🙂 is to take a small slice, like a microscopic view of a tiny bit of it and tell us about it. The videos are simply there as triggers to get you thinking about what you ‘see’. This theme emerged after the Orlando horror. The context to it is that our thinking creates our reality. To do that, put yourself in a setting or environment that for you is symbolic of, or a metaphor for, such a relationship. The friendship context in this theme extends beyond friendships with people to include – well, everything. Our friendships with the earth, with the animals, with nature, with society, with infrastructures…..